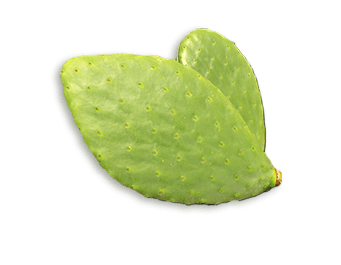 Nopal (Opuntia ficus-indica) is also known as Prickly Pear. It is a very good source of nutrients such as Vitamin C and magnesium, which are important factors in contributing to bone health. It also contains the essential fatty acids omega-3 and omega-6, as well as numerous betalains and phenols which are known to possess some antioxidant properties. Certifications: Organic, Kosher, Food grade.